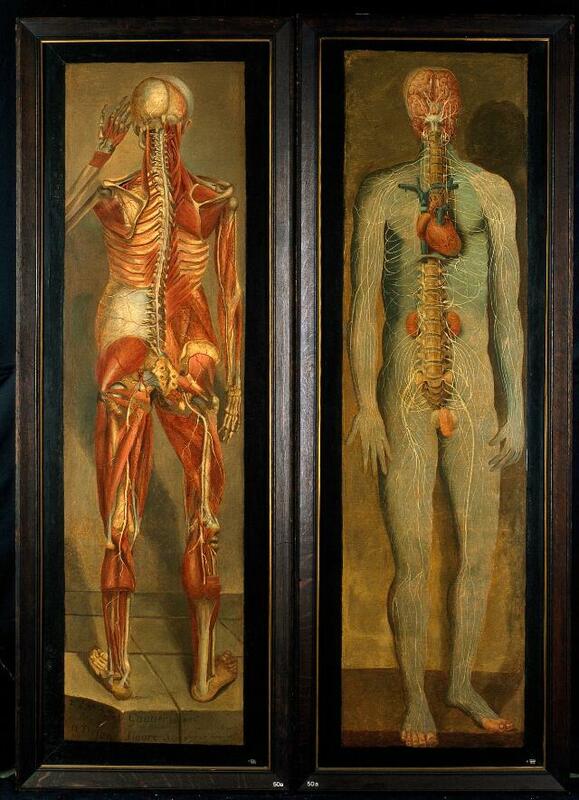 Two anatomical oil paintings side by side, by D'Agoty. The painting on the right (Wellcome Library no. 44571i) is of a standing figure showing the vertebral column, nerves, kidneys, heart and brain.